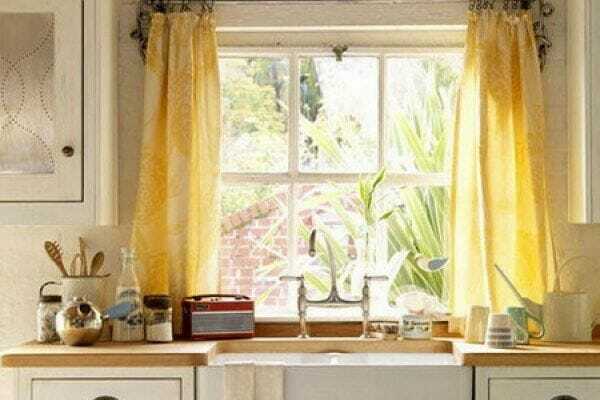 Lucky enough to have a window in your kitchen? We’re officially jealous. 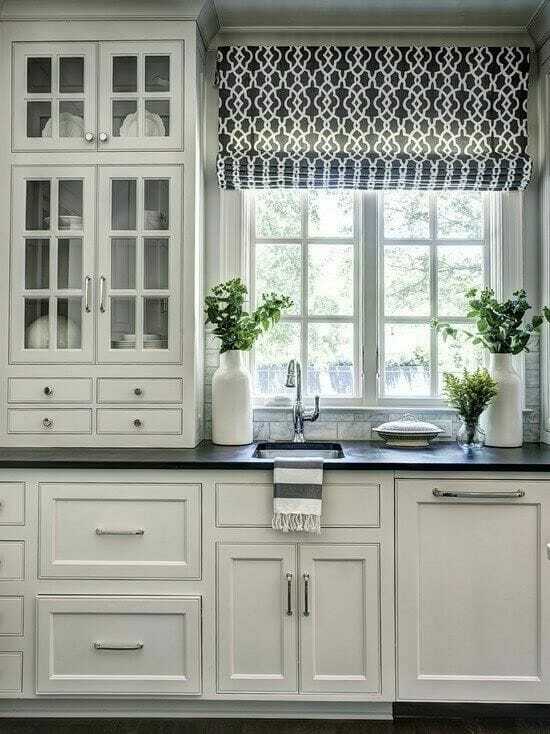 And not just because having natural light flowing in is a wonderful thing—we also love how window treatments can add a nice pop of unexpected color or a fun pattern to a kitchen, which is otherwise sort of a utility-heavy room. Read on for some of our favorite examples of how curtains can tie a kitchen together. 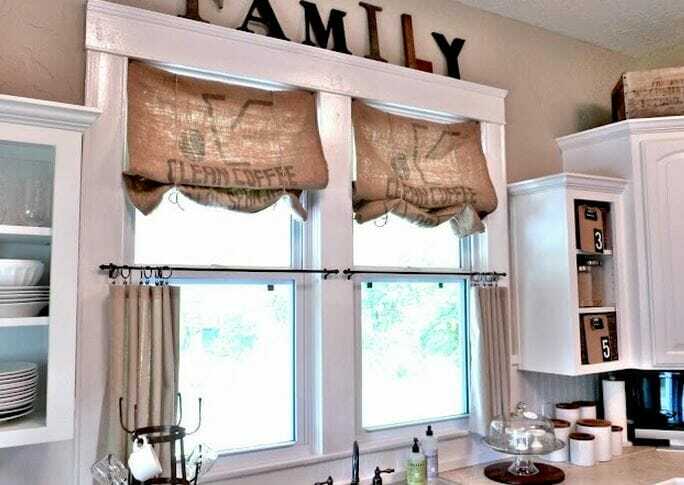 For a rustic, country feel use burlap to cover your windows. Find them online at eBay or on Etsy. You might even be able to get some at your nearest antique shop. In the above photo, the burlap sacks were sewn to be Roman shades. 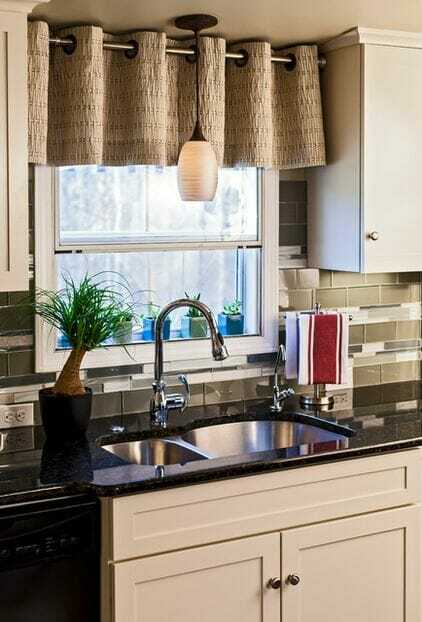 Cafe curtains are perfect for kitchen window treatments. They add a great focal point while still allowing plenty of light to brighten up your kitchen. Need privacy? Just close ’em, and you’ll still have light pouring in through the top half. 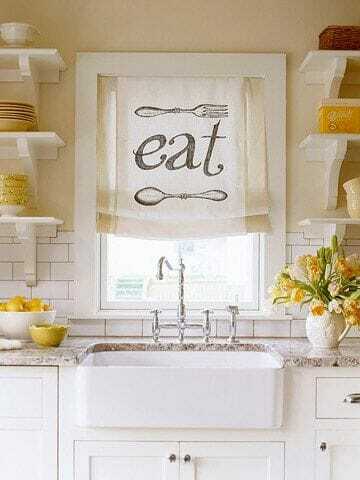 Roman shades add a sleek look to your kitchen. You can find funky patterns that give your window treatment a great style. If you want the light of a cafe window, but don’t love the look, try just a valance instead. It’s a nice way to bring in color and texture where privacy isn’t a concern. We’ll say it again and again: we love using curtains to add color. 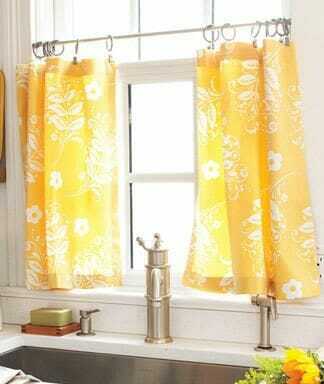 Colorful curtains look especially fab next to neutral cabinets and countertops. Since kitchen windows aren’t typically very large, drapes may not be the first thing that comes to mind. 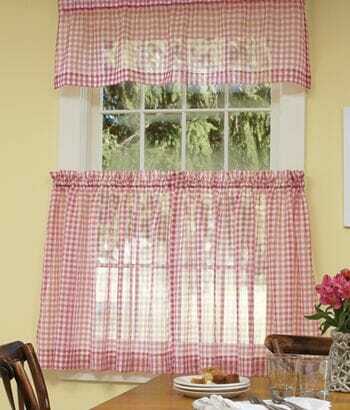 Custom kitchen drapes are available to add a cute look to the small window. 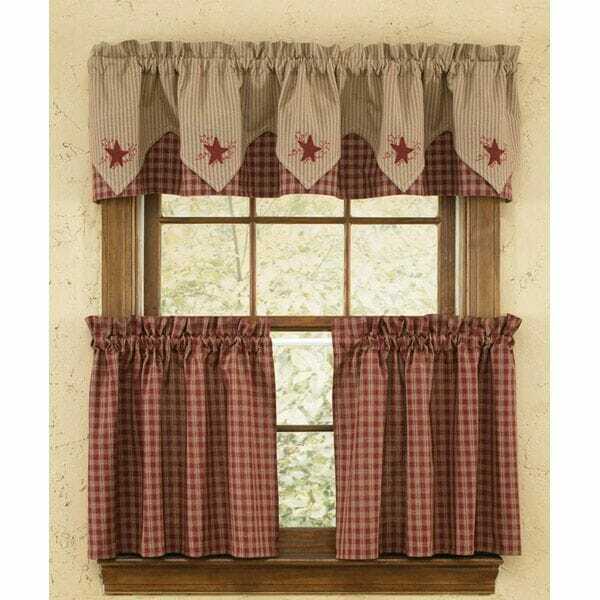 A combination of valance and cafe curtains can add a great, finished look to your window. You can choose matching or complementary patterns for each. For a cute, country kitchen look, go for a checkered pattern. The red and white pattern is a classic for the kitchen. The kitchen doesn’t always allow a lot of space for knickknacks and accessories. The window sill is often the best place to put these items. 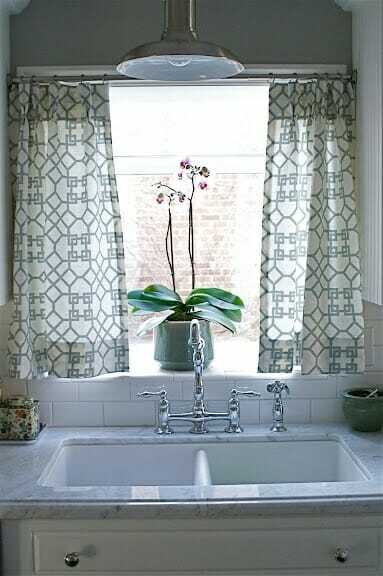 Use a great curtain pattern to frame the items in your home. This is a fun way to make a bold statement, literally and design-wise.